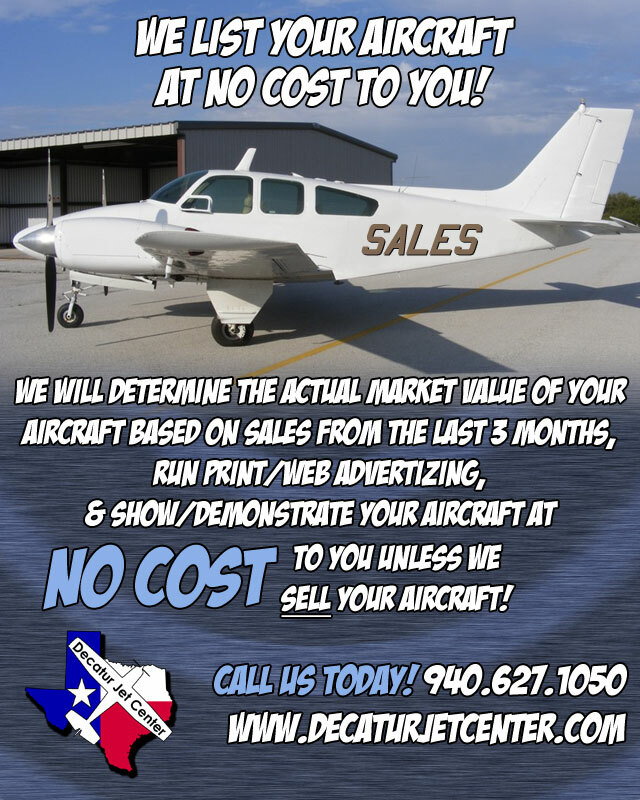 List your aircraft for FREE! For details or to order, please call 940.627.1050, email Christine, or stop by the front desk during business hours. Gift Certificates make wonderful gifts for any pilot or aviation enthusiast. 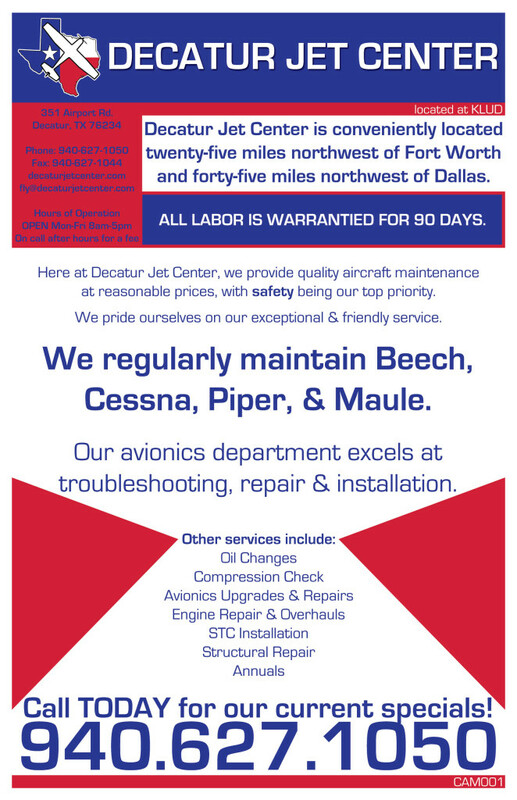 Decatur Jet Center has gift certificates available in any amount. 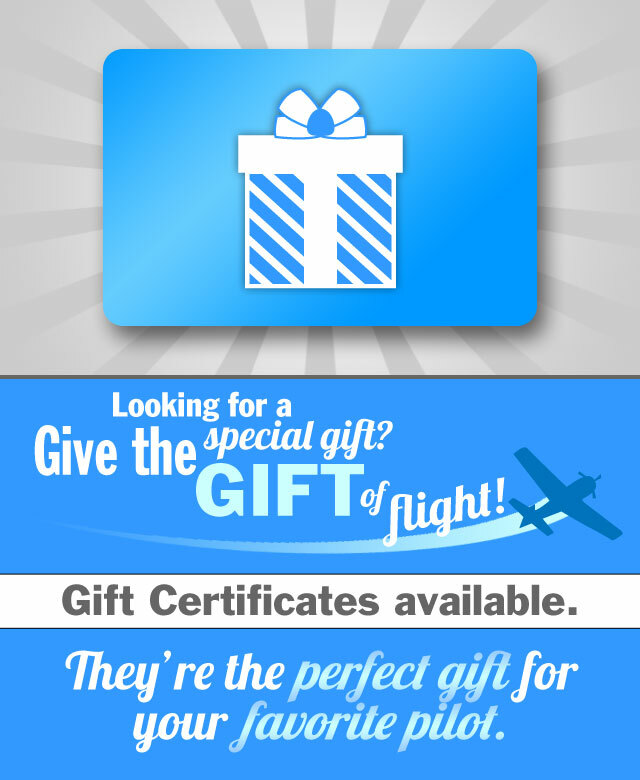 Gift Certificates can be used towards any of our products or services, including flight instruction, aircraft rental, pilot supplies, navigational charts, aircraft parts, aircraft maintenance – even fuel! A discovery flight is an introductory flight lesson including 30 minutes of preflight ground instruction followed by 30 minutes of flight instruction in a small, single-engine airplane. The student flies the airplane from the pilot’s seat under the guidance of an instructor who is sitting in the copilot’s seat. No previous aviation experience is required. The flight takes place in the local area around Decatur, TX. The flight time can be logged toward earning a pilot certificate. 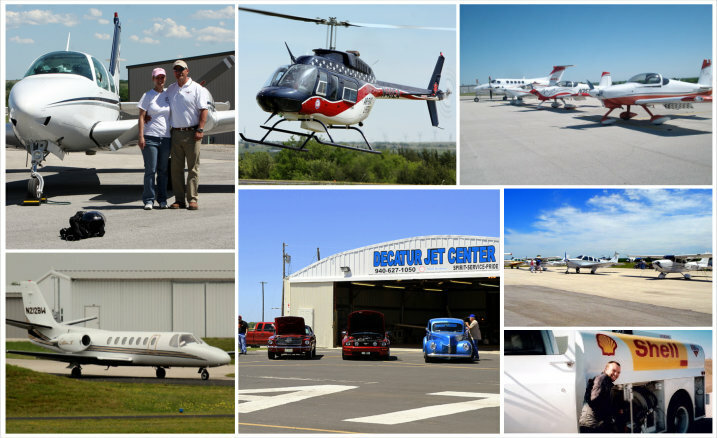 We offer scenic air rides that take passengers on a sightseeing flight within a 25-mile radius of Decatur, TX. Up to two passengers can go on the flight (weight restrictions apply). The cost of the flight is the same regardless of the number of passengers. Every seat is a window seat with a great view! Passengers are encouraged to bring a camera and take aerial photos. We can even arrange a sunset flight or night flight.